I played a bit around with the texture dump. My focus were the light layer. So far I discovered that game makes a simple transition from pure black to the full colored texture and vice versa to animate it. In other words the game darken the texture step by step until it reaches black and removes it step by step to get the original texture back. The question is, if we can't bring it to work by default with custom textures, couldn't we mimic the effect with a script (for each scene), which tells the driver how fast and in how many steps to add/reduce the level of black to/from these textures? The settings of the config doesn't match with what I can read from your config (internal res, pbo). Did you use the disc version or the converted Steam version? Either way you may want to use the Gamesconverter and let it set up the things for you. Well now this is a first. I've never had a problem before with the chocobo crash before, but now the damn thing won't work. screen goes black like it's gonna load the race, the chocobo music fires up, then crash to desktop saying the app crashed. Any thoughts here? That log is full of Direct3D messages, and there's nothing from the custom driver. It stands to reason the custom driver isn't being loaded; try running the ff7_opengl.reg again and see if that doesn't change. Does anyone have a working link to this? It will come as a plain text file patch with my dll when released... so no patcher will be needed. Hi guys, I last played this a fair few years back on win7, I still have the game files in place on my hdd with all my customisation's, but the game wont launch. The opengl registry file is applied. I get this showing in ff7music, suggesting its not trying to use the driver. I only have 0.79 version of the driver, 0.81 link in the first post is dead so needs a mirror, thanks. Things are sort of working now, but I would still like a download link to the latest version thanks. Crap. Normally the edit button is in the top right with delete and quote. At least where I used to frequent... Whatever. I guess I shoulda pondered that confirmation a little longer. Anyway, I posted how all the links I have found are broken or just not cooperating and giving me a 408 error. After extensive hunting, I finally found a working version... I think. It appears in the Driver Select thing in the FF7 Config, but I just haven't installed any mods yet to play with it. Edit: Agh! The button IS there, it's just «between» the quote and delete instead of far right! Bugger! Since this update I request is a focused on texture moding I would like to have the alpha blending from the previous version back. Even if it means that a few textures has to be adjusted for it, but it let us control the alpha blending more effectively. And I'm sure we fix the problematic textures in no time. With animated textures we could simulate the light layer for the field screens and I could create for the characters a much nicer blink effect of the eyes. Still, I must thank you for your mod. Without it nobody would be able to play the game on PC so well. Is there a way to make the battles 25 FPS? I know it speeds up the game but i want a smoother experience. So far i've spent 2 days trying to get Aali's to work on my pc version of FF7 updated to 1.02 with no luck. I'll list every step i take when installing it here so maybe someone can help me. Im running Winbloze 10 Pro i have tried game run as admin and without no difference. next i copied the 1.02 patch files to that Dir. FF7.exe and FF7config. nest i started the game up and got to the first save point. i then saved and quit. Now i have a save file to make the 10 save files i read i need and i have ff7input.cfg. next i ran ff7config (in videos i see people getting a test window popup when they goto the graphics tab, i have never had this popup) i leave the graphics at the default settings(d3d hardware , 640 full screen . check in Nvidia and TNT selected i then set and test sound and MIDI. 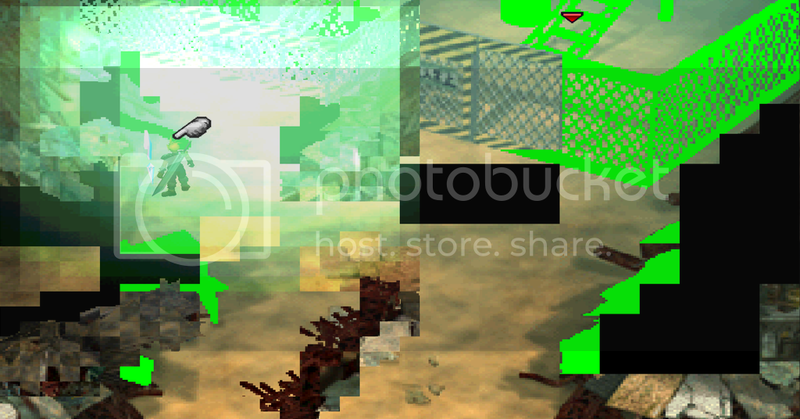 next i run the ff7_opengl.reg file and i leave opengl.cfg alone. In the coming days, I will be releasing a new version of the driver - though it will likely have a few hiccups, given Luksy has had to rebuild it for VScode. I'll try to iron those out with him before that day. Meanwhile, I noticed a slight bug in the code that I am awaiting Aali's input on. I have added my screen centring code for field and FMV already. I intend to modify the driver for use with Steam versions of FF7 (albeit with a check for proper install / non-pirate game). It may be the case that, in the future, I decide to create my own fork that supports FF7 English only (it would be working with my own DLL too - to allow anyone to use 1.02 English for modding purposes) - but for now I am adding some fixes for all - and will try to fix the odd issue we had with FF8 (like controllers losing focus). I will have to make a decision on how much work I am willing to do for FF8 and non English FF7. Of course, Aali has now released his source and I am willing to work with any programmer who wishes to maintain the driver (minus any way to bypass buying the game). Ultimately, I want to create a way for people to be able to use FF7 1.02 English as the sole exe. I have a great deal of thinking to do. You don't need to deal with the other languages. The GamesConverter main purpose was actually to uniform the different versions to use the English file system. So we have the files to patch the game language. You're such a doof Dan The encoding of that particular file has been flipped up, if you look at the original on github you can tell what's supposed to happen there. Wow! Great news! Will you add android version support? Yeah I had a feeling that it was an altered line somehow. I'm not sure where it went wrong because I downloaded it from the other link you sent. I'll have a look. What did you originally compile the source in? I figured it was that from the code in a hex editor... but why is this one being assigned and the other specials are not? Was this originally a problem? Aali, what did you originally compile your code in? Luksy has got it working now in VScode but I am wondering what compiler you used.